Sweclockers has just got details from Taiwan based manufacturer’s that Nvidia will be launching its 28nm Kepler GPU’s in Q2 2012. This means that global markets would have to wait for six months until replacements for current Fermi based Graphic cards arrive. Not only Nvidia but AMD might also be aiming for a Q2 2012 launch for its Southern Island based Graphic Cards since 28nm chips are facing issues from TSMC’s which isn’t able to mass produce 28nm based complex chips and the resulted yields are nowhere near the level they were expected to be. However, We can expect Mobile Solutions from both Graphic Giants in Late Q4 2011. Nvidia already has samples of a Hybrid Kepler/Fermi chip codenamed GK107 (Details here) which is rumored to be an entry level mobile solution and AMD also revealed its Radeon HD7000 Series Mobile lineup a while ago here. 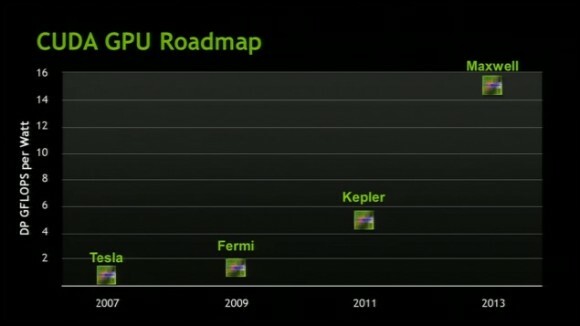 Other than these, Both Nvidia and AMD would be gearing up for some tough competition in Q2 2012. While Nvidia has shown Kepler to provide substantial increase in performance over Fermi, AMD’s Southern Island GPU specs were also leaked over here which highlight some impressive details.